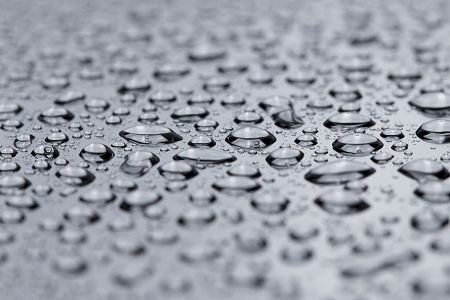 Whether to rotate disinfectants has been debated in the pharmaceutical industry for years, and numerous articles have been written on the subject. 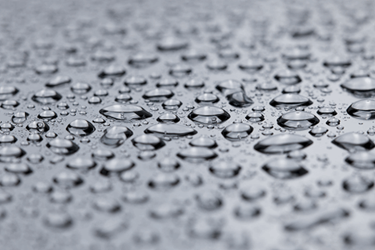 It is well understood that disinfectants play an important role in controlling microbial contamination on surfaces. If disinfectants are not used properly, microorganisms may remain on surfaces and proliferate in the environment. There are two schools of thought on the topic of disinfection rotation. This article discusses the concept of disinfectant rotation and the current mainstream industry practice regarding it. It is up to the end user to decide which disinfectants are right for its cleaning and sanitization program. These decisions are often based on risk assessments, environmental data, industry practice, regulatory expectations, and disinfectant efficacy testing results. Many regulations and guidance documents discuss the use of disinfectants to destroy microorganisms in the environment. The following list is not intended to be all-inclusive. While these documents provide helpful information on disinfectant programs, not all discuss the principle of disinfectant rotation. Failure to properly adhere to the regulations may lead to observations. The FDA posts warning letters on its website (http://www.fda.gov/ICECI/EnforcementActions/WarningLetters/). These letters can be reviewed for insight into the current regulatory expectations. This knowledge can then be utilized to prevent similar findings. From reviewing the warning letters, it is evident there is a regulatory expectation to establish an adequate disinfectant and cleaning program which includes a sporicidal agent. For example, the following warning letter excerpts cite companies for this deficiency. Opinions have changed over the years, and rotating disinfectants has been debated again and again. Many industrial microbiologists believe the expectation to rotate disinfectants was originally extrapolated from the medical industry.6,3,7 It is widely known that doctors are worried about antibiotic resistance, and rightly so. However, this same phenomenon has not been observed in the field of cleaning and disinfection for the pharmaceutical industry.6,3,7 The extrapolation from the antibiotic resistance phenomenon to potential disinfectant resistance has triggered some companies to establish disinfectant rotation programs that are not scientifically sound.7 We need to identify the science behind the need for rotation. 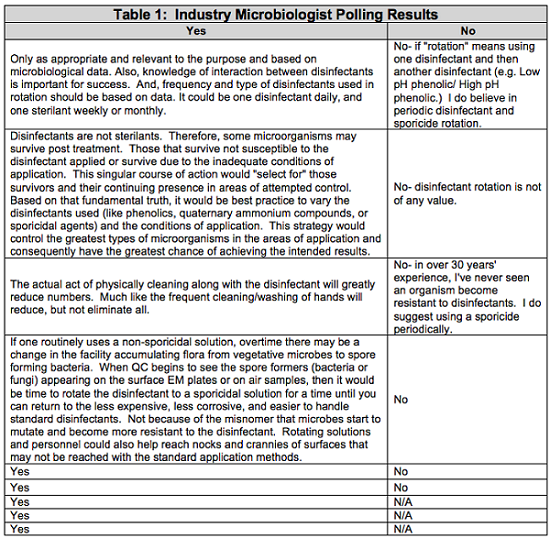 To gain a recent industry perspective, I polled 15 prestigious pharmaceutical microbiologists with a simple question: “Do you believe in disinfectant rotation?” I anticipated we would all agree. As a collective group, we have hundreds of years of experience in pharmaceutical microbiology. Table 1 summarizes the anonymous results of the polling. It was interesting that even the most prestigious industry microbiologists had somewhat varying opinions on disinfectant rotation. In fact, nine of the 15 microbiologists said they believe in the concept of disinfectant rotation. One factor that may play a role in the varying opinions is the term “rotation” itself. Rotation is defined as a return or succession in a series.9 For example, a true rotation would be the use of Disinfectant A, then Disinfectant B, then Disinfectant A, then Disinfectant B, and so on. In summary, I believe the current standard industry practice is to routinely use a qualified disinfectant, periodically supplement the disinfection process with a sporicidal agent, and regularly remove any residual residues with 70 percent isopropyl alcohol.2 This process is compliant, and many companies have proven it is effective in controlling microbial contamination. While there is not a distinct answer on disinfectant rotation, the current industry practice is effective and widely accepted. Like many authors before me, I believe the confusion comes not only from the misinterpretation of the need to rotate disinfectants being based on the antibiotic microbial resistance phenomenon, but also from the term “rotation” itself. In my opinion, until the industry coins a better term than “rotation” for the current standard industry practice, the confusion over disinfectant rotation may continue. So, when regulators ask if you rotate your disinfectants, skip the “yes-or-no” debate. Clearly explain your cleaning and disinfection program, and then demonstrate through data how your program is effective in microbial contamination control. The author would like to thank the peer reviewers: Tony Cundell, Ph.D, William H. Miele, Ph.D., Mark Warner, M.S., and Julie Barlasov, MBA for reviewing this article and for their insightful comments and helpful suggestions. PDA (2014). PDA Technical Report No. 13: Revised 2014: Fundamentals of an Environmental Monitoring Program. PDA, Bethesda, MD. USP <1072> Disinfectants and Antiseptics. PDA (2015). PDA Technical Report No. 70: Fundamentals of Cleaning and Disinfection Programs for Aseptic Manufacturing Facilities. PDA, Bethesda, MD. Sartain, E. (2005). The ABCs of Disinfectant Validation. March 2005. Accessed on August 31, 2018 at https://electroiq.com/2005/03/the-abcs-of-disinfectant-validation/. FDA Warning Letters. Accessed on August 31, 2018 at http://www.fda.gov/ICECI/EnforcementActions/WarningLetters/. Martinez, J. (2008). The Rotation of Disinfectants Principle: True of False. Pharmaceutical Technology, Vol. 33, Issue 2. Sutton, S. Ph.D. (2005). Disinfectant Rotation. A Microbiologist’s View. Controlled Environments, July 2005. Assessed on August 31, 2018 at http://www.microbiol.org/wp-content/uploads/2010/07/sutton.Controlled.Environ.2005.8.7.9.pdf. Annex 1 (2008). The Rules Governing Medicinal Products in the European Union — EU Guidelines to Good Manufacturing Practice, Medicinal Products for Human and Veterinary Use. Annex 1 — Manufacture of Sterile Medicinal Products. European Commission EudraLex, 4. Merriam-Webster Dictionary, rotation definition. Accessed on September 10, 2018 at https://www.merriam-webster.com/dictionary/rotation. Pidot, S. et al. (2016). Increasing Tolerance of Hospital Enterococcus faecium to Hand-wash Alcohols. Assessed on September 6, 2018 at https://www.biorxiv.org/content/early/2018/01/29/053728. Sartain, E. (2005). Disinfectant Rotation. R&D, March 2005. Assessed on August 31, 2018 at https://www.rdmag.com/article/2005/03/disinfectant-rotation. Azab, W. (2018). Lifecycle Approach to Cleaning and Disinfectant Rotation. Cleanroom Technology, March 2018. Accessed on August 31, 2018 at https://www.cleanroomtechnology.com/news/article_page/Lifecycle_approach_to_cleaning_and_disinfection_rotation/140448. Crystal M. Booth is a microbiology consultant. She has over 19 years of experience in pharmaceutical microbiology, working in quality assurance, CDMOs, R&D, and quality control laboratories, including startup companies. During her career, she has developed and validated methods for antibiotics, otic products, topical creams, topical ointments, oral solid dose products, oral liquid dose products, veterinary products, human parenterals, vaccines, biologics, aseptically filled products, and terminally sterilized products. Those methods include microbial limits testing, bacterial endotoxins testing, particulate testing, sterility testing, pharmaceutical water system validations, EM programs, surface recovery validations, disinfectant efficacy studies, minimum inhibitory concentration testing, antimicrobial effectiveness testing, hold time studies, and various equipment validations. Booth earned her bachelor’s degree in biology from Old Dominion University and her master’s in microbiology from North Carolina State University.